“Immunopulse IL-12 monotherapy and in combination with pembrolizumab was associated with encouraging response rates and safety data in patients with melanoma who may not respond to anti-PD-1 therapy, according to a press release. The gist: A new treatment that has shown promise in other types of cancer will soon be tested in triple negative breast cancer (TNBC) patients. The treatment, called IL-12 ImmunoPulse, delivers instructions for making a protein called IL-12 into a patient’s tumor. The patient’s cells then make IL-12, which boosts the immune system. A small pilot study will take place at Stanford University in California. It will test whether ImmunoPulse has promising effects on the immune system. If it is successful, researchers might try combining the treatment with drugs that are known to be more effective when the immune system is stimulated. “OncoSec Medical Inc. (OTCQB: ONCS), a company developing DNA-based intratumoral cancer immunotherapies, plans to initiate a pilot study to assess IL-12 ImmunoPulse in patients with Triple Negative Breast Cancer (TNBC). The study will be conducted at Stanford University with Melinda L. Telli, MD, serving as lead investigator. “This pilot study is designed to assess whether IL-12 ImmunoPulse increases TNBC tumor immunogenicity by driving a pro-inflammatory cascade of events that leads to increases in cytotoxic tumor-infiltrating lymphocytes (TILs). The presence and number of TILs is thought to be a key requirement for promoting the anti-tumor activity of antibodies like anti-PD-1/PD-L1. By driving cytotoxic immune cells into the tumor, IL-12 ImmunoPulse may be an ideal candidate to combine with checkpoint blockade therapies which reported some activity in TNBC. 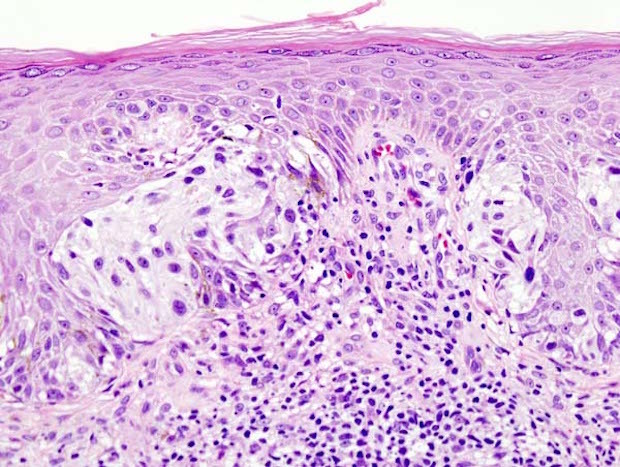 The gist: A new treatment called ImmunoPulse has shown promise for improving the long-term survival of metastatic melanoma patients. ImmunoPulse delivers instructions for making a protein called IL-12 into a patient’s tumor; the patient’s cells then make IL-12, which boosts the immune system to kill cancer cells. It was tested in 24 volunteer patients in a clinical trial in 2007. Now, long-term follow-up data has been analyzed. The researchers found that the median length of time patients lived after treatment was 23.9 months. “OncoSec Medical Inc. (OTCQB: ONCS), a company developing DNA-based cancer immunotherapies, released long-term survival results from its Phase I study in patients with metastatic melanoma, evaluating a single treatment cycle of intratumoral plasmid IL-12 (pIL-12) injection with electroporation (EP). Dr. Robert Pierce, Chief Scientific Officer at OncoSec, a co-author of the abstract presented these data today at the Melanoma Bridge 2014 conference in Naples, Italy. “The Phase 1 dose-escalation study, which completed enrollment in February 2007 and was first published in the Journal of Clinical Oncology (Daud et al., 2008), established that a single treatment cycle of intratumoral pIL-12 EP, administered on Days 1, 5 and 8, has an acceptable safety profile and is well-tolerated. Escalating concentrations of pIL-12 were administered in cohorts of three patients. No dose-limiting toxicities, treatment-related serious adverse events, or treatment-related Grade 4 or 5 adverse events were reported. Importantly, the study also demonstrated that local intratumoral pIL-12 EP can induce systemic responses, as evidenced by stable disease or objective regression in non-injected, non-electroporated lesions. Moreover, pIL-12 EP monotherapy was shown to achieve objective responses in this initial Phase 1 trial in patients with metastatic melanoma, with three complete responses (CRs) observed after only one treatment cycle. The gist: Two drug companies are teaming up to see wether two melanoma treatments can work better together than either on its own. The treatments are Keytruda (aka pembrolizumab) and ImmunoPulse. Both drugs use a patient’s own immune system to fight cancer. “OncoSec Medical Inc. (OTCQB: ONCS), a company developing DNA-based intratumoral cancer immunotherapies, has entered a clinical collaboration with the University of California, San Francisco (UCSF), to evaluate the safety, tolerability and efficacy of the combination of KEYTRUDA® (pembrolizumab), Merck’s anti-PD-1 therapy, and OncoSec’s ImmunoPulse (intratumoral IL-12) in metastatic melanoma. “Recent data suggest that patients who are PD-L1 positive and have increased tumor-infiltrating lymphocytes (TILs) are more likely to respond to anti-PD-1/PD-L1 mAbs compared to patients who are PD-L1 negative. Therefore, therapies that promote TIL generation and PD-L1 positivity may play an important role in augmenting the clinical efficacy of these agents. An experimental immunotherapy that delivers interleukin-12 (IL-12) directly into a melanoma tumor may also shrink tumors elsewhere in the body. Called ImmunoPulse, the treatment entails injecting a tumor with interleukin-12 DNA and delivering electric shocks to make the tumor cells absorb this DNA. These cells then produce IL-12, boosting the immune response against the tumor. In an ongoing phase II trial of 21 people with melanomas that were treated with ImmunoPulse, tumors shrank in 8 of them (38%) and disappeared for at least 6 months in 2 more of them. Moreover, untreated tumors also shrank in about 60%. The possibility of body-wide effects is encouraging because, in contrast to systemic IL-12 therapy, ImmunoPulse treatments have yet to cause serious side effects.